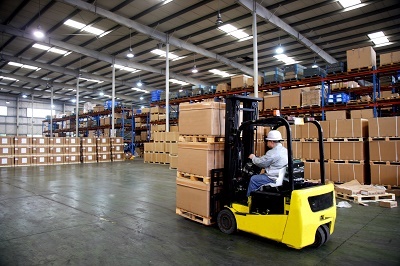 G&G Technologies provides many solutions for warehousing and logistic companies. Integrating new technologies and building custom warehouse applications to make businesses more efficent. Over the past few decades, warehouse and distribution center (DC) management has evolved from a model governed by manual labor and paper-based tracking to one in which technology plays a vital role in better utilization of available resources and growing space restrictions. The evaluation and application of new technologies for warehouses is far from a simple buy-install-use-benefit scenario. The “long-term” view of warehousing technology and logistics will shorten to the point where most organization’s planning horizons will shrink to as little as 18 to 24 months. Companies will need innovative solutions that have paybacks in months, not years. This shorter time horizon could adversely impact multi-million dollar automation project opportunities. Today’s modern warehouse incorporates a deft mix of highly evolved technologies and optimized business processes, while maximizing human interaction to provide increased labor throughput to help ensure supply chain success. Many organizations have invested heavily in Automated Control Systems (ACS) and Warehouse Management Systems (WMS) to enhance the automating and streamlining of standard tasks to substantially improve their operating efficiency and reduce transaction costs. The seamless integration with ERP and other inventory control and management systems, along with optimizing existing business processes, continues to provide improved efficiency with enhanced visibility of management information.